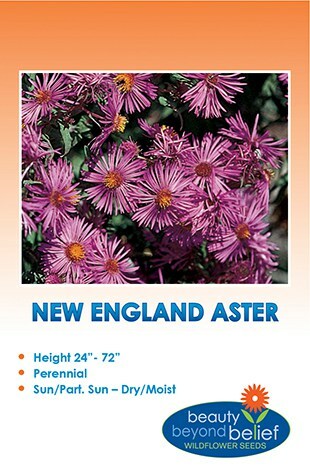 This medium to tall aster has an attractive vase shape that does not need staking in the full sun and is great for late summer to fall color. The purple/violet blooms are long lasting and the plants would make a good border plant. Sow to allow plenty of room between plants. This is a medium to tall aster that has upright arching branches that form an attractive vase shape that does not need staking when grown in the full sun. Extremely hardy, it is a great garden perennial for late summer and fall color, often into November. The profusion of lavender-blue blooms with yellow centers are long lasting and makes a good border plant. Sow to allow plenty of room between plants. 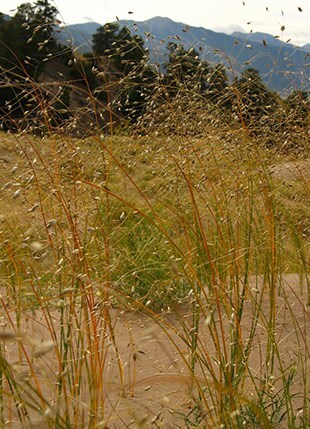 It is easily grown in average, dry to medium, well-drained soil in full sun. Smooth Aster has leaves that are smooth to the touch. Found in open woods, prairies, disturbed habitats, meadows and fields. Seeds per pkt: 1780 approx.